I love making this meal. Not only is it delicious and CRAZY easy, it also gives our family at least 3 dinners. Or, we use it for two nights in a row for dinner then make some yummy beef lunches the following day. 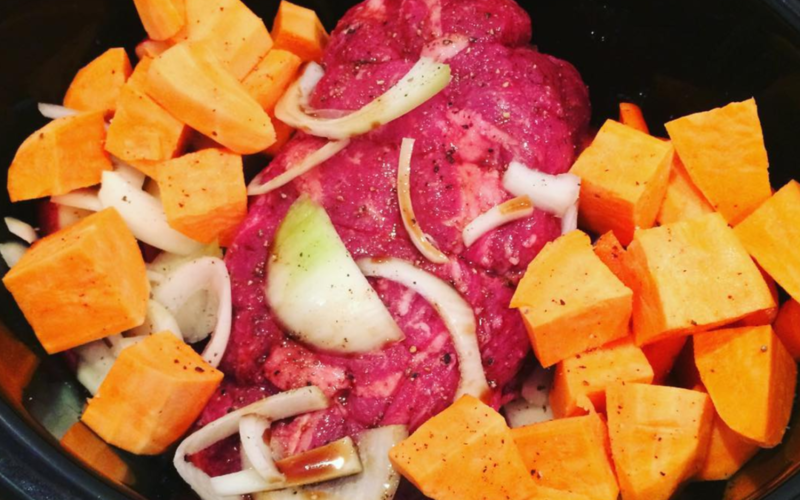 Place your roast in the middle of a 4 quart crock pot and scatter your veggies around it. Pour some worcestershire sauce over top of the roast (just enough to cover) and season everything with your rosemary, thyme, salt and pepper.